We wanted to share David Royko's insightful first-person chronicles of living with his son's autism in The Chronicles of Ben. We had to laugh when With Building Blocks, Educators Going Back to Basics appeared in the NYTimes online. This very interesting article outlines the current recognition of blocks as a worthy and useful educational pastime for children in PreK and Kindergarten in the more expensive schools in New York City. They have successfully re-discovered what most of us have known all along, as quotes from the article remind us! ...Studies dating to the 1940s indicate that blocks help children absorb basic math concepts. One published in 2001 tracked 37 preschoolers and found that those who had more sophisticated block play got better math grades and standardized test scores in high school. And a 2007 study by Dimitri Christakis, director of the Center for Child Health, Behavior and Development at Seattle Children’s Hospital, found that those with block experience scored significantly better on language acquisition tests. The one discussion in the article that we disagree with is the instruction that parents should encourage children to make block creations by photographing their work. There is nothing wrong with taking pics of unforgettable creations, but children should work and play for their own fulfillment, not for a Kodak moment. A traditional Montessori olfactory exercise in the Sensorial area is the Smelling Bottle exercise in which there are several sets of matching scent bottles. The bottles look identical, so the child receives no visual clues, but matches the scents by scent. A good starting array of smells includes cinnamon, black pepper corns, and vanilla. 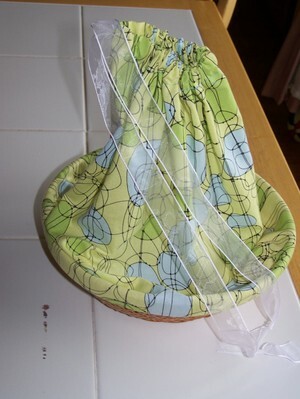 You can put them into sets of identical bottles or inside folds of fabric for mixing and matching. Since there are two of each, mark one of the pair in a different color -- you can mark the lids of the bottles or use different colored fabric for one. You can introduce the names in a separate exercise after your child has worked with matching them. One good way to introduce the names to a group is to have everyone sit on the circle, you introduce the name of one scent, and then pass it around for everyone to sniff. A fun expansion of the scent exercises is to have children close their eyes or wear a blindfold so they focus on only the scents! Our Montessori teaching albums all discuss the importance of books for your home or school classroom. Even infants are provided with large picture and word books from the time they show an interest in them. A good general guideline is to provide three types of books: Books that are at your child's current reading level (if he or she does not yet read, use picture and word books), books that are just beyond your child's current reading level, and books that are more difficult that you can read aloud. Look for books about real things! 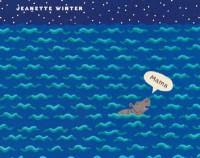 Pictures and name labels for infants and toddlers work beautifully, children who are ready to read or just starting enjoy short descriptive books about such topics as the natural world, children in other countries, or things with wheels. The books you read aloud can range in topic from poems and rhymes to history and and the solar system. One important note is that when your child is at the library and wants to choose a book, let him or her browse and choose. Developing a love of reading and an interest in exploring the book shelves to see what one might find is invaluable to your child's reading development. Since you always stock the bookshelf with educational material, anything your child chooses to look at independently is supplemental, so you don't have to worry about monitoring and critiquing. Also, do not tell your child to put a book back because it is too hard or will not interest him or her. If either is the case, your child won't read it. Perhaps you will be surprised. But trial and error needs to be encouraged because we want to help nurture intellectual creativity and the ability to think outside the box. This post is designed for parents and teachers who have just purchased our Montessori teaching albums, but it should be useful for everyone else, too. The albums are designed to be followed in section and page order, so the first chapter on Practical Life is where you start. First, put together the shelves we discuss for each section: Practical Life, Sensorial, Cultural, Language, and Math. Note that the Cultural section includes a group of topics ranging from geography and art to biology and history. Language includes reading readiness, reading, writing, and other overall language development work. If you are working with one or several children at home, put out only a few pieces of material on each shelf. If you are starting with very young children, you may wish to keep the Language and Math sections closed for now until the children learn how to work with the material in terms of taking care of it, handling it gently, and putting everything away after using it. For those of you in schools, put out key pieces in each section. The younger your students are, you need more Practical Life and Sensorial work. Also put out a few pieces for the other sections for the first month. Try a globe, a puzzle map of the world, the Pink Tower, and math spindles. Make sure you have at least at least three types of materials ready per two children -- this allows children to have work to choose from as they move from lesson to lesson, but minimizes the potential mess until everyone begins to work smoothly. After the first month, see how it goes. Are the children working without leaving materials scattered around the classroom? Are they moving from one project to another in an organized way? Avoid having so many materials out that they all end up on the floor. If this happens, remove materials to streamline the room and have a circle time discussion about putting materials away. 1. Put together a book area with two books per child. 2. Build your circle area on the floor with tape. 3. Introduce circle time with reading and activities. 4. Have a few repeat materials in the Practical Life section for presentations such as pouring dry peas. Make this simple Practical Life presentation to small groups while your assistant reads to the others (if you have enough children for an assistant, otherwise make the presentation to your children at home). 5. Make individual presentations in the Practical Life and Sensorial area. Include the Mystery Bag work so children can work in pairs or small groups without you. 6. Quickly intervene if material is being dropped, thrown, or left scattered around. 7. Make circle time presentations for such activities as mat rolling and carrying that are key to classroom order. If you don't have any equipment yet, set up the Practical Life material with supplies from the kitchen (or Walmart), put together books, art supplies, and start taking group nature walks to collect leaves for identification and labeling. Then look for basic pieces of equipment to start with in the second month to fill out the lists needed in our albums. A few parents from Australia have asked for site ideas, so I thought to post the link to Bright Tomato Learning here. In the US, I have dug up a handful of suppliers, but given the high cost of shipping overseas, especially to Australia (I feel so badly about the shipping costs! ), I wanted to share this local link for those of you in Australia and New Zealand. Some of their material that is not explicitly Montessori is also good such as the puzzle maps with small knobs. Most Montessori equipment is now made in China, so Bright Tomato sources their material here, but they deal with customs, importing, testing, and so forth as retailers normally do. Btw, we do spot check equipment we purchase here in the US (it also comes from China). Scrape off a bit of paint in an inconspicuous place and test it for lead using an off the shelf kit. Many of you are already familiar with the basics of the well-known Montessori three period lesson: Present, ask what was presented using the name, then point to what was presented and ask your child to recall what it is. For example, you might name a dog, cat, and bird, and then ask your child to show you the bird, cat, and then dog. Then you would point to each and ask what it is. This simple layout of a presentation makes sense. It minimizes distracting conversation and lengthy explanations that make matters confusing. The person giving the presentation has a clear set of guidelines. If you find yourself talking more than our quick sample above indicated, you might be adding needless confusion. 1. Do you find that your child/student is frequently unable to successfully complete period 2 of the lesson? 2. What about period 3? Problems in the presentation will show up above. We highly suggest video taping yourself giving a presentation to your child. Then review the presentation. Find practice partners among other parents or teachers. If you have older children, solicit their merciless feedback. Tell them what your goal is and ask them how you do. How is it going? The video practice sessions are great for teacher training as are the family and other adult practice sessions. In training courses, we practice with each other, and then practice in a session reviewed by our own teachers. And then we practice as teacher interns. Montessori uses small deliberate steps to build your child's critical thinking skills. For example, very young children are introduced to the Practical Life exercise of basic table washing using a sponge, bucket, and towel. This shows your child how to prepare materials, tackle a problem, test the results of a solution (touch the table! ), and, if needed, try again. The above example is a perfect type of exercise for a young child whose mind and body are both growing and eager for new information and skill-building activities. Later in the Primary class years (2 1/2 to 6), children build on basic skills, learning to handle new materials, test new skills, and tackle and solve more complex problems. For those of you at home, take advantage of activities out of the house. For example, write out a basic shopping list and give your child one or two items from it to find and bring back to the cart. At home, your child can help create the list, too. On subsequent trips, he or she can take responsibility for finding more items. As your child learns to read and count, you can expand this type of activity by showing the unit cost of an item and begin to discuss pricing. By the time your child is about six, he or she should be able to look at the prices of, say, different packages of toilet paper and see if something makes sense to buy or not. Discussion of the prices of, say, a box of brownies versus the ingredients to make them at home make a very succinct lesson. You can apply the same process to buying a pack of precooked chicken slices versus buying a whole chicken to roast. Start with the work in our previous post. When your child is comfortable with the first set or so of cards, add a photography component to the project. You will need a simple point and shoot camera for your child to use, but it is best if the camera can shoot small objects at a close range (something to consider if you will buy one). Show your child how to use the camera. Keep in mind that hands-on, simple explanations are best -- let him or her hold the camera and try focusing on different things. Now he or she can make a morning's project out of looking for insects to photograph. Perhaps he or she will be able to spot a small spider's web indoors or on the windowsill, too. 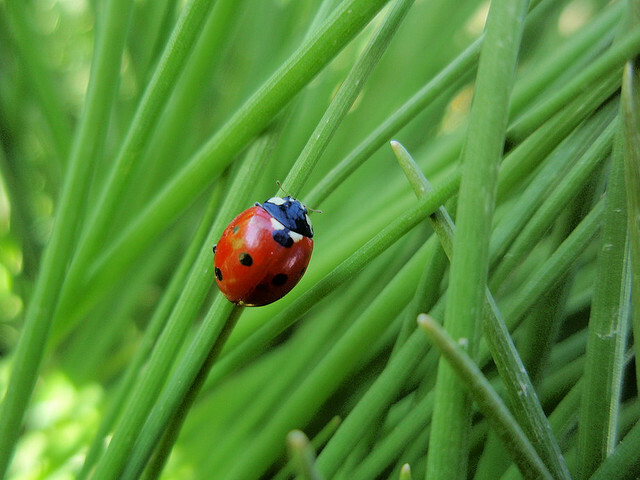 Take inspiration from the Ladybug photo above by Neeku on Flickr, who has graciously shared her photo with us! You can make a beginning set of entomology cards for your child when he or she is in the first or second year of Primary class. These would include the traditional three-part card setup: Master cards with pictures and labels, picture-only cards, and label-only cards. Start with 8 cards for basic insects such as the lady bug and grasshopper. Place the box of cards on a section of your nature shelf labeled "Entomology". Explain that it means the scientific study of insects. From this point onwards, make new sets of cards from time to time. You can also start categorizing the insects by type. We encourage everyone working at home to take advantage of the free educational resources available online such as university sites. Texas A&M, for example, makes available lots of text and high-resolution photographs that you can print to use at home. Foldit is a web site that allows one to log to solve real puzzles in science. We are now offering Jan Katzen-Luchenta's book, "Nutrition for Learning: Feeding the Starving Brain," for sale in an Adobe PDF file on a CD on our site. 1. Children who eat more French fries than asparagus reverse letters while learning to read and mice fed trans fatty acids struggle through a maze with reversal learning disabilities. 2. Children who come to school eating breakfast “on the run” are full of added sugar while scientists have identified a child’s physiological response to sugar to be 10 times that of an adult. 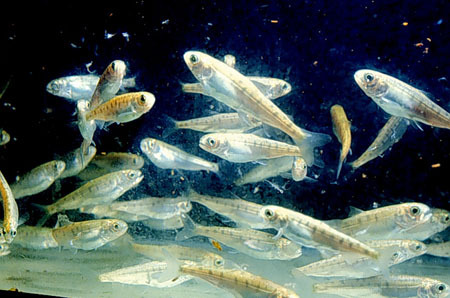 dye are spawning offspring with chromosomal damage. 5. Babies are born deformed, with preventable mental disorders or low birth weight (with a high risk of brain damage), and researchers consistently identify maternal deficiencies of vital nutrients from whole unprocessed foods (born of the earth and sea). vegetables a day (in utero and until the age of two) have against infant and childhood cancers. According to the 2003 Summary of Health Statistics for US children, learning disabilities are amassing diagnostic numbers close to 5 million annually. (Did I mention that reading failure plagues 80% of the learning disabled?) Autism is now reaching epidemic proportions. She goes on to talk about the science behind proper nutrition for children, and then discusses what we can do to make sure our children get the right food for the brains and bodies. A great Montessori tradition! Check out her 200+ page book in Adobe PDF format on our site My Montessori House. Once your child has used the sand tray, the sandpaper letters, and formed basic CVC words with the movable alphabet, you can introduce words on cards. Using small blank rolodex cards (you can use any card, but these can be purchased cheaply in bulk), create word cards with the consonants in red and the vowels in blue (you can set it up on the printer or write them by hand). Make six or so these cards to start using short "a" CVC words such as cat, hat, rat, and other words that use the short "a" with an ending "t". 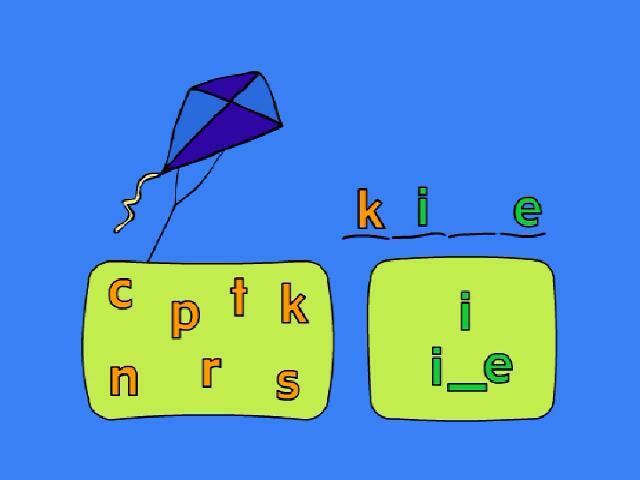 Next, make short "a" words with an ending "d" and then an "n" and continue until you have lots of little sets. When your child is working with CVC words, remember to work with one set of short "a" cards at a time. Then use all the short "a" cards. And only then move to the short "e" cards. Do not mix them up until your child has mastered the sounds! Your child can use these cards for reading practice, forming with the movable alphabet, or writing practice. After watching a tutor at the library jam a bunch of flashcards in front of what seemed to be a first or second grader, I wanted to jot down a few quick tips for the transition from reading letter sounds to reading words. 1. Introduce letter sounds first. 3. When you teach CVC words, use the short "a" sound first: bat, hat, cat, rat, and so forth. Don't mix in other short vowel sounds until your child is familiar with the other short "a" words: bad, cap, map, mat, etc. If your child stumbles on, say, the word "map" when he or she read "mat" without problem, review the letter sounds. Do this without stress or giving your child the feeling that he or she is not doing something right. Make it natural, easy, and enjoyable. The point of early reading instruction is to instill a love of reading and language as your child learns the basic building blocks of the language. There is absolutely no point in skipping ahead to difficult or new words if the basics are still shaky. Don't drill your child to death. Take a break, do some reading aloud with stories, and remember that is your one chance to create a child who loves reading! If your child is home for the summer, try mini field trips to common spots such as a library, bookstore, farmers market, hardware store, lumber yard, or other places you might run normal errands. The point of the trip is several-fold. You can work on how one should behave, if you have had problems with your child not behaving appropriately for the venue. If it easier to do this on a dedicated field trip, and not when you are running errands on a deadline. You can also tell your child that you have a certain amount of time to spend at whatever destination you choose, and you can also let your child choose the place. If you are working with children who are interested in, say, working with nuts and bolts, you can let him or her select a few pairs to work with at home when you visit the hardware store. Coordinating with another parent or two so you can put together a group of three or four children can make the field trip a more social experience. Try mixing age groups to get a three-year range of ages, so older children can learn how to help younger children, and the younger ones can enjoy following the older children instead of their parents. This is one important part of a traditional Montessori classroom that is nice to replicate whenever possible. Learn more about smolt from this enterprising college student! Traditionally, children work with zoology classification and fact cards in the Primary class ("Primary" means the years from 2 1/2 or 3 through 6). Parts of an animal are the first cards your child will work with using picture and label three-part cards. As your child's reading improves, he or she will work with animal classification, homes of animals, and animals and their young (e.g. cow-calf). When your child has worked with these basics, encourage further work in the same or similar categories. For example, if your child has completed our Montessori curriculum for the second year of Primary class, he or she can expand on the "Animals and their Young" exercise by finding new pairs. As your child finds these new pairs, he or she can look up illustrations and use them as a reference for drawing and labeling. Occasionally parents ask why their four year old is learning what a "smolt" is instead of working on something more traditional. The answer is that learning how to learn and growing the brain is the purpose of our work during these years. It builds real academic skills while building a well-rounded thinking individual. This morning, I came across a splendid article on the NYTimes online, Why Study Hyenas?, by Kay Holecamp, and wanted to share it with everyone. A perfect example of free online resources you can use at home or in the classroom, the author discusses the habits and habitat of the hyenas, different breeds, and other facts that make for wonderful reading aloud material for younger children as well as independent reading for older children. The pictures online are fabulous, too. You can print them for younger children and create labels. If you create several every week, you will soon have a beautiful collection of picture and word cards for matching and reading cards. Create a set of cards with the labels written on them, create another set of picture-only cards, and a third set of label-only cards. Younger children can match by sight. As soon as your child is ready to hold a pencil, he or she can have lots of fun copying the labels (and drawing them). Summertime brings a wide range of opportunities for you to introduce your child to fresh fruits and vegetables as you work with him or her at home. Montessori Practical Life exercises can include such exercises as 1) growing plants and tending them, 2) picking the fruits or vegetables, 3) washing and peeling, 4) cutting and serving, and 5) joyful and spontaneous cleanup. You can also include such projects as writing labels or drawing pictures of the fruit/vegetable with or without labels, drying fruits, making jam, and preparing and using everything in a salad or cooked meal. For example, you can prepare 1) soil, 2) beans, 3)peat pots, 4) small watering can, and 5) a tray to introduce planting beans. As the beans grow, show your child how to make a small trellis for the vines -- you can use sticks or something more elaborate. 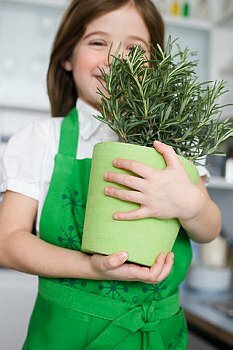 Your child can put the pots by a window and watch them grow. Let these exercises and projects become independent projects for your child, so that he or she can freely go water or taste the work in progress without your help. Once you present an exercise and material, your child should be able to work with it independently. Children love to eat what they have grown and picked! The Bilingual Advantage by Claudia Dreifus in the NYTimes online discusses the overall cognitive benefits to children of learning and speaking a second language. The brain system development in children who speak a second language is improved, along with a significant boost in the children's executive function which benefits things as diverse as decision-making and driving. And, thinking far ahead for your child's future, bilingual adults with Alzheimer's have been shown to function for five to six years longer than their monolingual peers, despite having the same level of Alzheimer's! 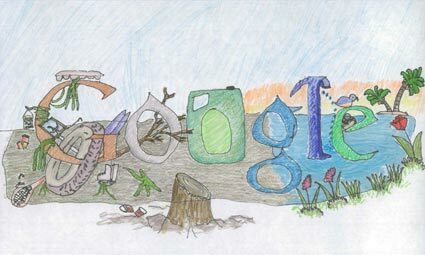 Creativity and Art: Did You See "Doodle 4 Google"? Wow, the Doodble 4 Google competition yielded some amazing art! Check out the K-3 section on Google. This illustration is titled "Got Clean Water?" and it was created by Nathan Hidajat, age 7, at St. Cecelia Elementary School in Ames, Iowa. The Montessori Three-Period lesson is a well-known staple of the Montessori teaching method. We discuss it in more detail in our teaching material, but it basically breaks a presentation down into three parts: 1) name something, 2) use the name when you ask your child to identify the object (do they recognize the association between the name and the object), and 3) point to the object and ask what it is (can they remember which object is called what). What is difficult is applying it with each different child. Especially at home if you have not had practice presenting material in a Montessori way. The key is to observe your child carefully, so you do not go too fast or too slow. Montessori teaches us not to quiz young children, but to present knowledge so that they can soak it in. We are not looking for rote memorization at this age. Instead, we are trying to impart knowledge in a way that creates a foundation of knowledge that can be used when your child looks at the world and wants to learn more about it. For example, teaching your child the names of three primary colors helps him or her identify many other things in the world. But, what about those other colors? Now it will be time for another lesson on more colors. We follow up with secondary colors because when your child learns to combine colors it will make more sense to have learned first primary colors and then secondary colors. Sometimes when we are teaching at school, we do not go beyond the first two periods of the lesson because the child is clearly still in the process of absorbing the material and will probably not be able to answer the third period. Sometimes we just stick with the presentation phase in the first period when it looks like the child has not processed the information. Just wait, and then re-present the material in a few days. It is easier in a classroom setting because one does not feel the pressure of working with one's own child, and you see the natural progression of a group of children and how it all comes together at the end. There should be no rush in presenting knowledge and material! We post on this topic occasionally, and here are some fresh thoughts on a long-standing issue of how to find a good school and teachers. Your child's Montessori experience will only be as healthy and productive as the teacher, assistant, and school, so check wisely and carefully. A well-trained nervous wreck of a teacher will do your child no good at all! And an overbearing unkind administrator's effects will be echo through the school. 2. Are the teachers AMS or AMI trained? 3. Ask how many years the teachers and assistants have been teaching this age group. 4. Observe a full day of class including snacks, meals, and outdoor play. 5. Are the teachers and assistants polite, respectful, and kind to children? 6. Are the children polite, respectful, and kind to each other? When they aren't, what does the staff do? Is unwanted behavior discussed and alternatives suggested? 7. The staff should not helicopter teach! This is not a good thing in the Montessori system, so be aware of overly hovering staff. 8. Do not judge the staff on how they handle you! They are trained to work with children, not adults (though hopefully they do okay with parents, too). Observe and visit quietly. Bring up comments, questions, or observations later with administration (you can ask to meet with teachers separately after children have departed). 9. Does the staff get along well with the administration? Any intimidation or unhappiness tends to trickle down to the students, so this is a helpful hint to anything that might go wrong. 10. Is there a name of a well-known teacher or administrator on the door and website, but this person is not present at school? This is another red flag. 11. Talk to parents. You can wait until pick up time and interact with the parents. Ask if you can attend a PTA meeting in advance of making a decision. A group of 8- to 10-year-old children discovered that: "Science is cool and fun because you get to do stuff that no one has done before." As you will see in the video, the children decided to study bees, and ended up with findings that they wrote up in a paper for publication. During the last few days, I got in several compelling questions from parents who had purchased both our teaching albums and DVDs, so we have included some tips here for using them in tandem. We highly recommend starting with the first year of Primary Class (shown above) even if your child is four or five years old. This basic work is very important and provides the building blocks for more advanced concepts found in reading and math. As you follow the program in the first year's teaching album, introduce the exercises in more or less the order they appear in the table of contents: Practical Life, Sensorial, Cultural, Language, and Math. The brain and body development that takes place when your child works with the first three sections will set the framework for success in Language and Math, so it is important not to rush or skip them. However, if your child is older than 3 1/2, you can introduce the Sandpaper Letters now as you introduce the Practical Life through Cultural material, moving to the Movable Alphabet as directed in the album. When your child is familiar with most of the Sandpaper Letters, you can introduce the first DVD, Sounds & Words, which presents the letter sounds and uses the sounds to create CVC (consonant-vowel-consonant) words such as "cap" and "pen". Then your child can practice making CVC words using the Movable Alphabet. He or she should also work with all the other word-making exercises shown in the album such as the Object Box work. At this point, introduce the Red Rods, Number Rods, and Spindle Box. Now use the Math DVD to practice some of the concepts. Continue making presentations for the other subjects during this time, too. When your child has mastered CVC and CVCC/CCVC (e.g. "hunt" or "slop"), you can introduce the next DVD. Your child will practice writing and forming more difficult words as shown in the album. This stage should be lots of fun with your child gaining incremental mastery of different elements of reading. If your child is struggling, back up a bit and practice with the last material that he or she used easily. Observe your child when he or she works independently and try to figure out what in particular is causing the difficulty as you probably went too fast during some stage of presentation or did not spend enough time on the earlier material. Montessori teacher training is much like this because we need lots of practice to make sure we are presenting material at the right stage for each individual child, so it is important to observe, take notes, and fine-tune our teaching styles. Introduce the Colors & Shapes and "Big Vocabulary" DVDs at any time now. The Colors & Shapes program includes primary and secondary colors, so you can coordinate this with the Colored Tablets presentation, if wish. It also includes regular polygons and closed curve shapes, a good review for everyone who has forgotten these terms! If you have our printable Adobe PDF collection, print the relevant material before you introduce the DVD, so you have it on hand for your child to review and work with. For parents who are trying to decide which album they need, we suggest starting with this first one because it also helps you learn how to present material. It is easy to present harder material once a child has a solid foundation, but it is frustrating for a child to be presented with material that is a bit confusing because the groundwork has not been mastered. As you teach your child, think of, perhaps, learning yoga. If you are just beginning, the teacher should guide you through the basics, so you gain physical strength and flexibility along with the mental understanding of the poses so that you can help your body learn them. You can go to yoga class every day eager to learn and feeling yourself getting stronger. Now you are ready for a slightly more difficult pose. What would have happened if your teacher had presented a headstand on the first day? You might have toppled over, hurt yourself, become frustrated, and perhaps quit. You might have also seen another student performing the headstand and wondered if you were somehow responsible for failing to be able to perform the headstand. You can take a peek at the table of contents for each of our Montessori teaching albums here. You've got to check out the Barnes & Noble's Children's Book Awards page to take a peek at current and past children's boo award winners. No, we're not shilling for Barnes & Noble, they just have one of our favorite displays of all the award winners such as A Sick Day for Amos McGee, by Philip C. Stead, Caldecott winner and Newbery Medal winner, Moon Over Manifest by Clare Vanderpool. While we love the traditional wooden maps in the Montessori classroom, there is no denying the fact that they are expensive! We encourage you to try to buy at least one -- perhaps sharing it among several families -- so your child can work with the small knobs and have the experience of handling the pieces, both require hand-eye coordination and fine motor skills. Google maps is a tremendous resource for parents at home. 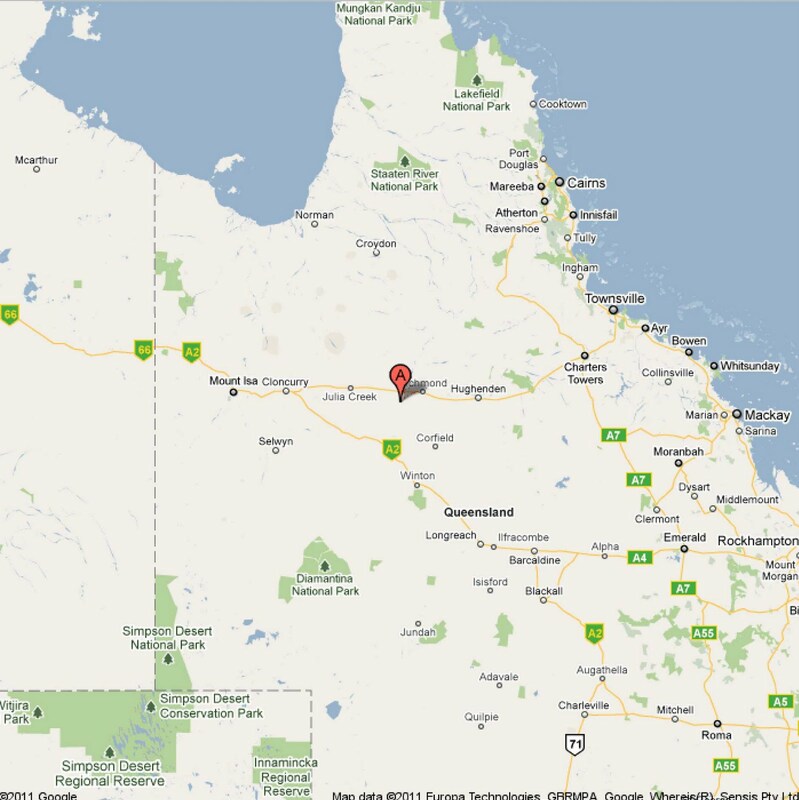 In the sample above (top picture), we searched for Australia, printed the results in a PDF file, and trimmed the excess. You can print this material for everything you want to use at home. 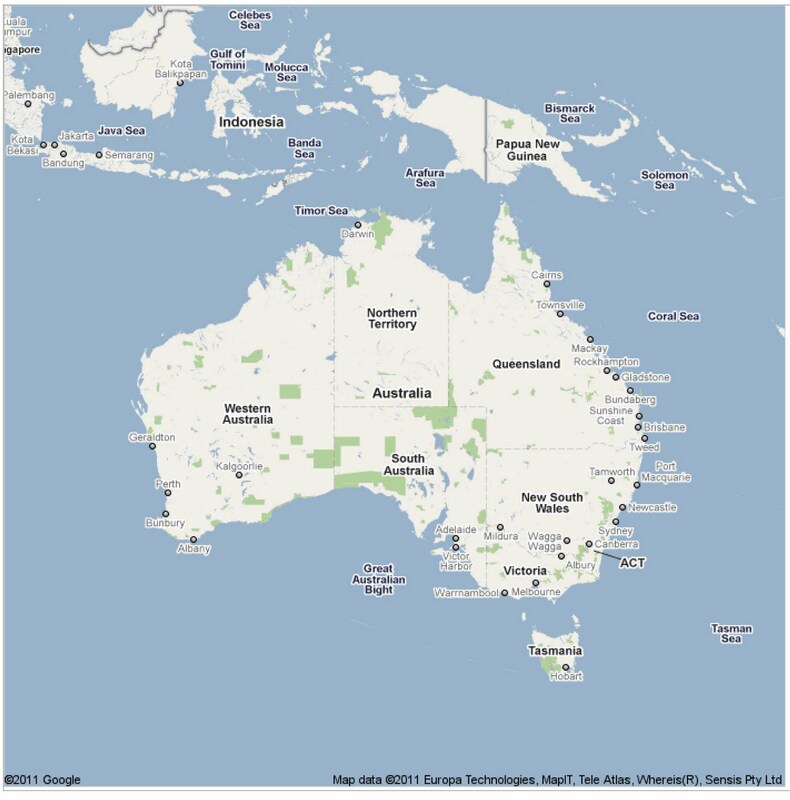 From the continent level, you can search for a state or country within a continent such as Queensland, Australia, shown in the bottom picture. Now you can print out a sectional map with the names of cities, areas, major bodies of water, and routes within that area. 1. Print out continent maps for each continent. Arrange them on the wall so that the layout corresponds to a flat map of the world. 2. Children can color the land one color and the water another. 3. Your child can look up and draw the flags of each country or the main countries of interest. You can also print a flag for reference. 4. 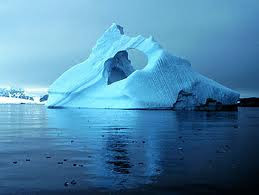 Older children can begin to research the continents, bodies of water, and countries to write short descriptions of each. 5. You can make your own cards with descriptions. 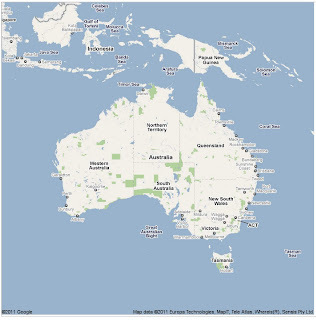 For example, the Australia card might say "The Commonwealth of Australia, usually referred to as Australia, is a country in the Southern Hemisphere comprising the mainland of the Australian continent, the island of Tasmania along with a number of smaller islands in the Indian and Pacific Oceans. Australia is unique because the country is a whole continent." The cards can be used with pictures to mix and match. This xylophone starts at $60, so it's a very good deal for an instrument that will provide tons of musical and creative inspiration for your home classroom. Just as we were looking for good examples of wooden toys, we found this excellent site in Australia, Eco Toys, with this Plan Toys Construction Set. You do not need to buy a set of anything to help your child practice using small tools, but this is a cool set, if you are looking for a gift. "Waiting for Superman" has generated lots of buzz and controversy among educators and parents. And it is almost here for viewing! "A impressive new documentary, Waiting for "Superman", by Oscar-winning filmmaker Davis Guggenheim (An Inconvenient Truth), reminds us that education "statistics" have names: Anthony, Francisco, Bianca, Daisy, and Emily. Guggenheim, whose skill set includes an ability to simplify complex topics and elevate them to the level of national debate, follows a handful of promising kids through a system that inhibits, rather than encourages, academic growth. The documentary dissects the public education system but embraces the belief that good teachers make good schools. The prospect is bleak but Guggenheim explores innovative approaches taken by education reformers and charter schools that have refused to leave their students behind. Whether your kids go to public or private school, the issues raised in Waiting for "Superman" are ones that none of us can afford to ignore." Check out the "Waiting for Superman" trailer in the meantime. This is the first box of Color Tablets with six tablets that include three pairs for red, blue, and yellow. Making the Color Tablets is an easy and rewarding DIY project because the materials are simple and the results will be as beautiful as the originals. Any store that carries paint sample strips will let you have a few. Choose the truest red, blue, and yellow strips. 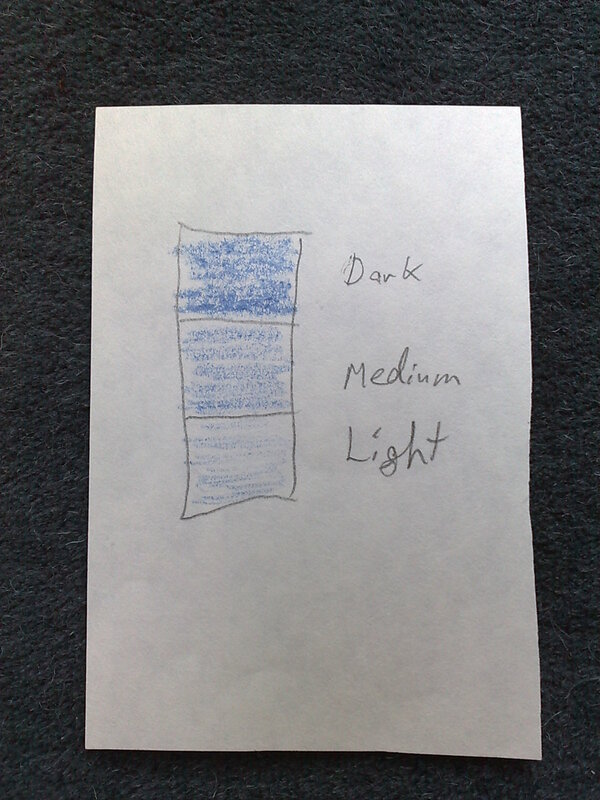 Cut away the darker or lighter shades on the strip, so you have a square of the one color you want. Keep the other shades for the third box of shades. You will need a matching pair for each of the colors. Mount the square of color onto a rectangle of card stock that is longer than the colored rectangle by about 1/2 inch on either side, so that the card stock acts as a frame and provides a place for your child to hold the card. Mount a 1 1/2 inch square of color onto white card stock with the same 1/2 inch of card stock frame on both sides of the square. Use child-safe watercolors or other paints. Cut a piece of white card stock 2 1/2 inches long and 1 1/2 inches wide. 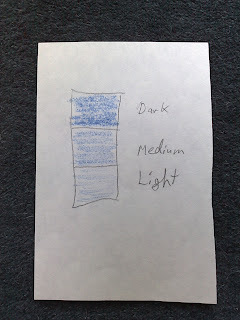 Color in a 1 1/2 inch square -- make sure the lines are precise, so that each square of color is the same size. Repeat for the rest of the colors. Cut a 2 1/2 inch long and 1 1/2 wide piece of card stock. Prepare enough red, blue, and yellow yarn for the tablets. Put child-safe glue on the 1 1/2 inch portion. Wrap the yarn around it so that the card stock is covered. Tuck the end of the yarn back inside and secure with glue (put the glue on the end and stick it in, so nothing is on the outside). Photo courtesy of Little City Kids. One lovely exercise in the Montessori practical life section is flower arranging. Children gather flowers and leaves, prepare them, and arrange them in a glass vase. Before working with this exercise, children have already practiced walking with a delicate vase, so their handling skills and coordination is well-honed. Searching for inspiration, I found this wonderful link to the Little Flower Shop via the New York Times online's article "Flower Arranging Finds a Younger Audience." Hoping they will share a few photos with me later which I'll post to show everyone. If you are putting a flower arranging exercise together for your child, the two of you can search for and use any variety of materials such as pine cones, fresh herbs, tall grasses, stems with berries or cherry tomatoes, leaves, and, of course, freshly cut flowers. Did your child put together an arrangement today? We'd love to share it with our readers! Once your child has mastered the basics of color name and color association for the primary and secondary colors, he or she can begin work with shades of color. Prepare crayons and paper on a tray. Show your child that a single color of crayon can be used to create a wide swath of shade by taking the paper off the crayon and rubbing the side of the crayon on the paper. This allows your child to experiment with making the visual effects of shading while developing hand and wrist control as he or she holds the crayon with an alternate grip. Labeling the shades of color is optional. If your child has worked with the 3rd Color Tablet box, go ahead and introduce labeling using these terms he or she already knows from the presentation. Our stereognostic sense allows us to identify objects by touch. Many of the pieces of equipment in the Montessori classroom's Sensorial section work on developing this sense. An excellent summer exercise is to put together a Mystery Bag with objects that your child can identify by touch while closing his or her eyes or wearing a blindfold. Look for a beautiful bag that has a drawstring or flap to hide the contents. Fill the bag with tantalizing contents such as glass marbles, miniature wooden blocks, a tiny metal car, a penny, a dime, a quarter, a piece of beach glass with soft edges, a big feather, a soft downy feather, a sunflower seed, a metal chopstick, a piece of a beehive, a ribbon, and anything else that you find. Your child closes his or her eyes, reaches into the bag, feels the objects, and identifies it...without looking at it. Then he or she takes the object out of the bag and sees what it is. This is a great group game that children can play anywhere. This wonderful handmade Mystery Bag is one I happened upon on the My Montessori Journey blog by Laura. Thanks tons for letting me use this inspirational picture! All you need for this simple exercise is a pair of child-safe scissors, a ruler, a pencil, and construction paper. Prepare the exercise by making squares out of the construction paper for your child to use. Tell your child that the object of this project is to cut triangles. Take a piece of paper for yourself. Use the ruler and pencil and draw a line from one corner of the square to the other. Cut along the line. Show your child the two triangles. Push the triangles apart. Push them back together to form the square again. Let your child work with his or her own square to cut the triangles. In the meantime, you can work with your triangles and cut them into more triangles. The two of you can experiment with reforming the original square and reforming the larger triangle pieces that you have just cut. Encourage your child to experiment with different shapes, even if they do not form triangles or squares. This is a great group exercise. Our recent post on Montessori and Brain Development on our Montessori for Infants and Toddlers blog turned out to apply to all ages, so we are sharing the link here for those of you who do not subscribe to that blog. This looked like a fun and educational writing contest, plus it has a cash prize of $500 that will cover a few text books. For everyone preparing a classroom or homeschooling with Montessori, Lori at Montessori for Everyone has more free downloads of her fabulous Montessori material for print. Montessori for Everyone offers printable materials (as PDF files) for all the curricular areas, including language, reading, math, art, music, science, history, and geography. We are sharing the answer to a great question we got in from a parent asking what equipment we would recommend for this age group. If you purchased our Montessori Curriculum for Primary Class (PreK to Kindergarten ages), there are some basic lists and suggestion in the binders and we suggest you make or buy the equipment that we introduce in the curriculum. Most of it can be made fairly easily, and all of it can be made or improvised if you are handy with DIY projects. 3. Word cards for CVC (e.g. dog), CVVC (e.g. beak), and CVCV (e.g. cake) words. 4. Practical Life DIY setup including small pitchers, bowls, sponges, clothes, brooms, mops, dustpans, buckets, and similar material (if you have our curriculum, see the list in the binder). 7. Books using words from #3 above as well as more advanced material designed to be read to your child. See the free downloadable books at Project Gutenberg and check out a sample of our Adobe PDF book for Montessori Pink Level Reading words. You should have a minimum of 20 books that your child can start reading and at least another 20 that you read to your child. 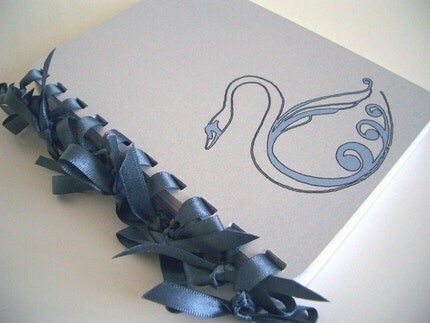 You can make these with the Gutenberg books, write your own, browse yard sales, or take out library books, too. 8. Three-lined writing paper, pencils, erasers, colored pencils with pencil holders, blank rolodex cards (for you to make equipment with), watercolor paints, brushes, painting and art paper, smocks/painting clothes.